Zürs is the swankier of the twin resorts of Lech and Zürs, but both are probably the most upmarket resorts in the whole of Austria. They share the same lift pass and slopes - Zürs in particular having the type of flattering pistes that make everyone look and feel good. 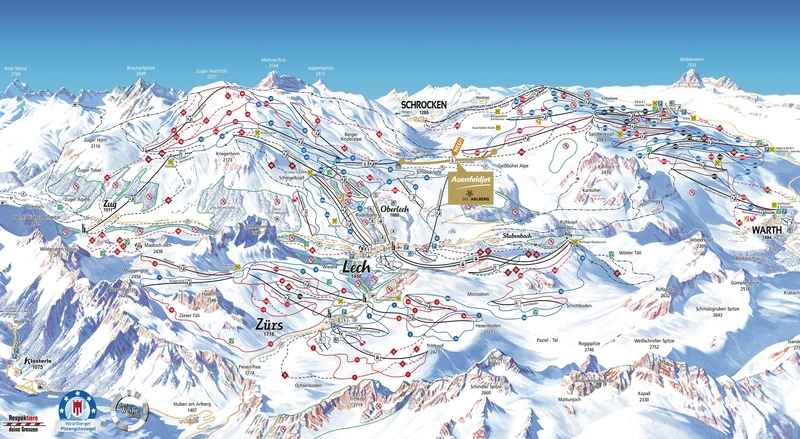 As a special treat the extended lift pass for Lech and Zürs also allows you to ski nearby St Anton and other slopes in the region. From 2013 there is also a gondola link to Warth-Schröcken, which has some of the best snow conditions in Austria and significantly extends the terrain you can get to on the lift pass. 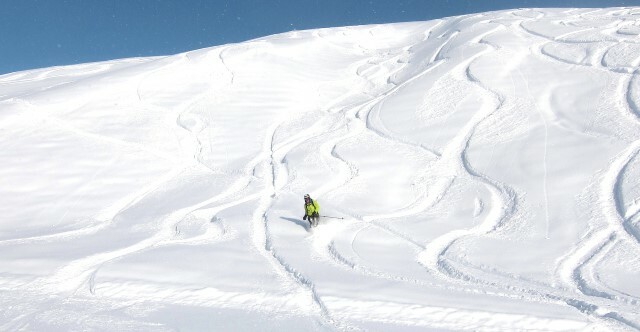 If you get off at the station at Langen am Arlberg you need to take the 91 bus, from St Anton the 92 bus or the ski bus. Or a taxi. The train services from Zurich, Landeck, Feldkirch and Buchs to the West, and Innsbruck to the East, for St Anton are fast and efficient. Did you ski Zürs or snowboard in Zürs? What did you think? Have you taken the train to Zürs? Do you have any tips on accommodation in Zürs or the apres ski? Is there anywhere else you have taken the train to ski? if so, please contact us and share you experiences using the contact link at the foot of the page.